Hello, and welcome to another OSV Car Review. This week, I’m sitting behind the wheel of the new VW Golf. Well, it’s kind of new. It’s more of an update for 2017, really. Few cars have the power to redefine a market sector. Yet that’s exactly what the VW Golf has managed to achieve, with 33 million sold since its launch way back in 1974. So let’s start the engine, get this Golf rolling, and let’s see what it drives like. Power between 85 PS and 310 PS is available, though we consider the hotter VW Golf GTI, GTD, and R models almost in a separate category. There’s a brand new engine, though, a 1.5-liter turbo petrol that’s replacing the old 1.4 litre. Yes, in a shocking twist in the motoring world, an engine has actually got bigger, so much for downsizing. It’s got a 150 PS, which is the kind of petrol clout you’d be satisfied with unless you’re a real enthusiast. In this video, we’re behind the wheel of the economical 1.6-liter turbocharged diesel engine with 115 PS. It’s true, that doesn’t sound like much power, but it doesn’t feel particularly slow. There’s no change to how the 2017 VW Golf drives. It’s still the same as it was before, in the sense that it’s like a well-fitting glove. Not too firm, not too soft, good, but not spectacular steering feel and weight, and with plenty of punch from the engine. It does what you want it to do in practically every conceivable situation, which makes it enormously difficult to criticise. Thanks to a huge range of steering wheel and seat adjustments, I’ve got to say it’s really easy to find a very comfortable driving position. No matter what your shape or size, and because of the thin window pillows, the Golf is still the best in class for all-round visibility. With no mechanical changes, aside from a new turbocharged 1.5-liter engine, this facelifted model…it drives in a very, very similar fashion to the existing Mark VII. That’s to say the Golf’s chief qualities: refinement, comfort, and usability are all present and correct in this updated new model. It’s much easier to take a swipe at the styling of this new 2017 VW Golf though, as on the outside there’s virtually no way to tell it apart from the old one. It looks the same, with not even a hint that this is a fresh model. It isn’t the interior paradise that some reviewers make it out to be. 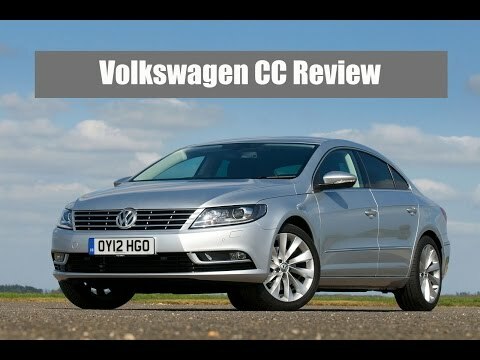 Certainly, fellow VW Group brands like SEAT and Skoda do cabins just as nicely as the Golf’s, but it is excellent in quality still and it won’t offend anybody with its overall design. The focus has been around this. There’s a brand new dashboard, a new centre console, and revised door trims. They’ve all been designed to give the interior a sharp look and to bring this Golf more in line with other recent VW models. I just think it’s great little touches like this… This falls down. You can keep sunglasses in there if you need to. That’s not a big deal, lots of cars have those. This is equipped with electric windows, which is standard, again, on lots of cars these days. You’ve got electric mirrors and they do fold. Everything about the car is just functional. It’s a really nice car. Let’s have a look at the boot, might as well. And you can probably see, that’s my bag here. That fits in very nicely into the boot, no problem. And underneath you’ve got a wheel, should you have a puncture. Well, we’re coming to the end of our drive in the new VW Golf. I hope you’ve enjoyed being my passenger, and I hope you’ve learned a little bit about this new model. 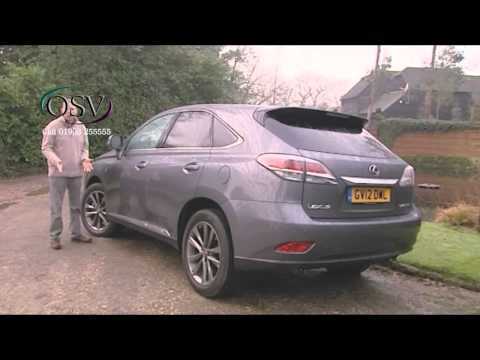 Join us again next week for another OSV Motoring Review.